The South China Morning Post drops down in East Africa Sunday, making stops to update readers about the plight of big game animals generally and elephants in particular. We'll chart their stops this week and not in order. Chris Dwyer takes us six hours west of Nairobi by car to a landmark project within the Maasai eco-sstem, crossing Kenya's southern border with Tanzania. For several years conservationists have worked with local communities to limit cattle grazing on grasslands owned by the private 35,000-acre Olare Motorogi Conservancy, run in partnership with the Maasai people. 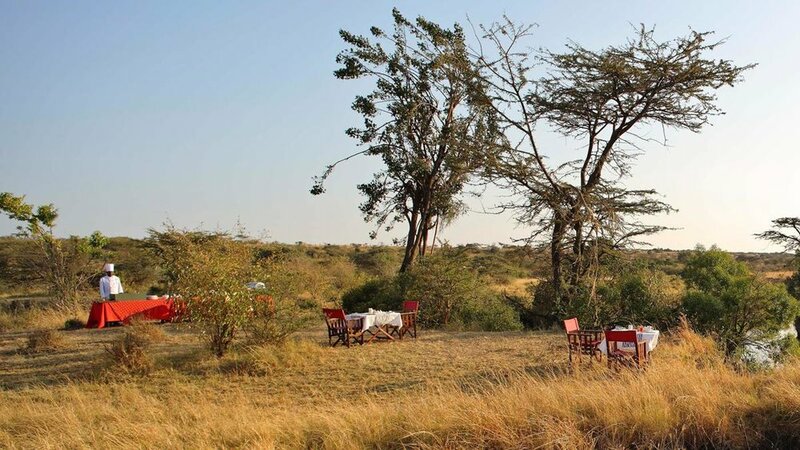 Today the land hosts several exclusive camps including one owned by Sir Richard Branson, and less expensive lodging as well. The collaboration operating in the conservancy protects many of the world's most extraordinary animals and offers a consistent income and livelihoods for the Maasai landowners. Kenya has been ambitious in promoting the positive economic benefits to developing tourism and saving some of the most precious animals to walk the earth, as an alternative to working as scouts or even killers of these animals for money. Not only does the Maasai community prosper, but the animals keep the tourism developing into the future. This project has one of the highest lion densities in Africa. Dwyer writes: "The latest aerial census by the Kenya Wildlife Service suggests Kenya’s elephant population has increased recently, thanks in part to stringent anti-poaching measures. But when taken in the context of the overall population decline, from an estimated 167,000 animals in 1979 to 38,000 last year, the figures remain sobering." 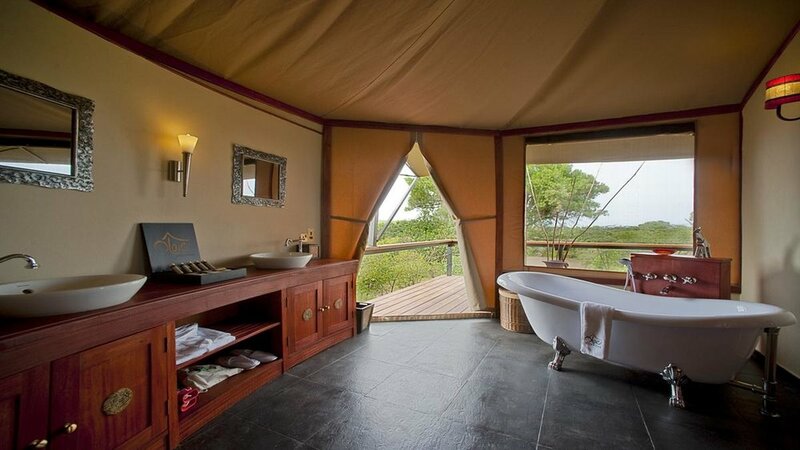 Our writer then checks into the Olare Mara Kempinski Masai Mara resort, a camp of 12 luxury tents, swimming pool and lounge bar. I've picked some images from the resort's website, one's that remind me of the inspiration behind our GlamTribal collection and my own strong physical and unconscious connection to East Africa. GlamTribal is also committed to elephant conservation and The Kibera School for Girls (see website) in Nairobi, donating 10% of our sales to these two complimentary endeavors. Considering that elephants are a matriarchal social organization and educating girls is one of the most important efforts to support peace and stable political institutions -- as well as sound economic development on the planet -- reaching adventurers who support these goals is key to our GlamTribal strategy.